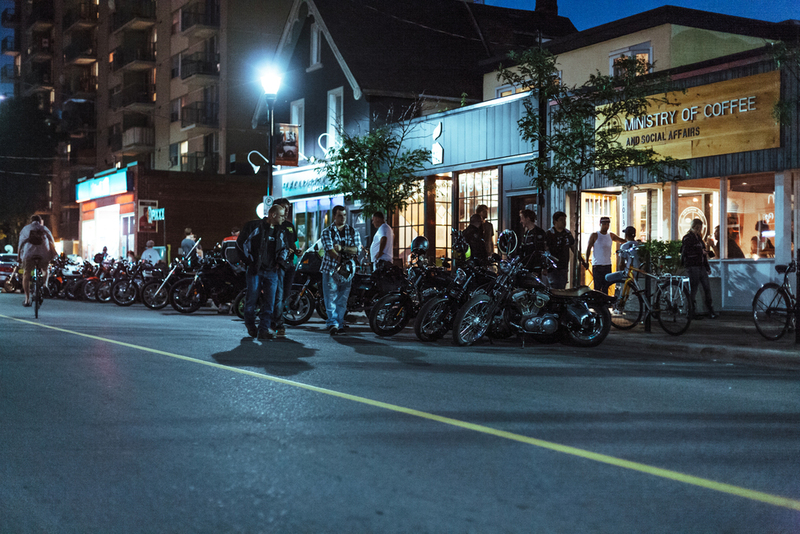 On Wed. July 29th, 2015 we hosted #TheMotoSocialOTTAWA for the very first time. This was actually the first time we’ve ever hosted #TheMotoSocial outside of Toronto and it was kind of like a step forward in the right direction. My vision when I first started thinking and planning this idea/event, was to create a friendly social event that promoted motorcycling and a positive humanity. My vision was to bring the motorcycle community together in an inclusive environment where everyone felt welcome, connected and accepted. I wanted to create a positive environment where the “like-minded” could find each other, and naturally build relationships. My bigger vision was to start building community at home with #TheMotoSocialTORONTO and then once it was established, start building community in other cities around the world by hosting TheMotoSocial_______ (insert city name). #TheMotoSocialOTTAWA was our first step in that direction and I could not be more stoked. Ottawa your response blew us away. You were so welcoming and kind and so stoked to hang out and socialize. I’m really excited to continue hosting the event with you all in our capital city and continue creating the space for you all to come together and hang out. Thank you to The Ministry of Coffe & staff for hosting us. The new Wellington Street venue is such a great place to hang out and grab a drink. We’ll definitely be back to see you. Also a big thank you to everyone in town who helped spread the word and to my good friends at Town Moto for helping us make the trip happen and for always inspiring me to keep going! SO WHATS NEXT FOR #TheMotoSocialOTTAWA? We’ll we’re going to continue organizing #TheMotoSocialOTTAWA and turn it into a regular monthly social like we do at home in Toronto. Right now, there are some logistics that we have to sort out in order to host the event really well on a monthly basis. We will not be hosting one in August, but we may still host 1 or 2 more events in Ottawa before the season ends. We’ll keep you posted. Stay tuned for more updates as we progress and thank you all again for supporting the event and coming out to hang with us!